Bath & Body Works has a new coupon! 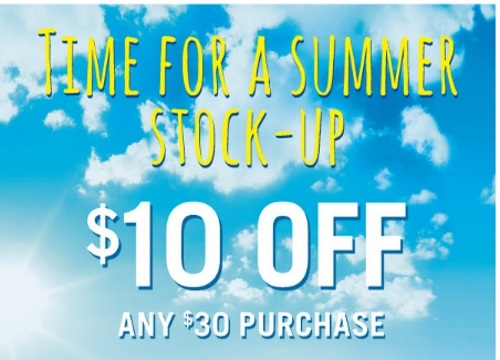 Save $10 off when you spend $30 or more with the coupon below. Show the coupon on your smartphone or print it out to show the cashier. Coupon offer ends Monday, July 11, 2016. Deals include $15 3-Wick candles, $4 select hand soaps, $7.50 select Signature Body care. Also get a Perfect Summer tote for $30 with any $30 purchase, this includes 8 of their best scents for summer and customizable with the pouch of your choice (over $107 value).